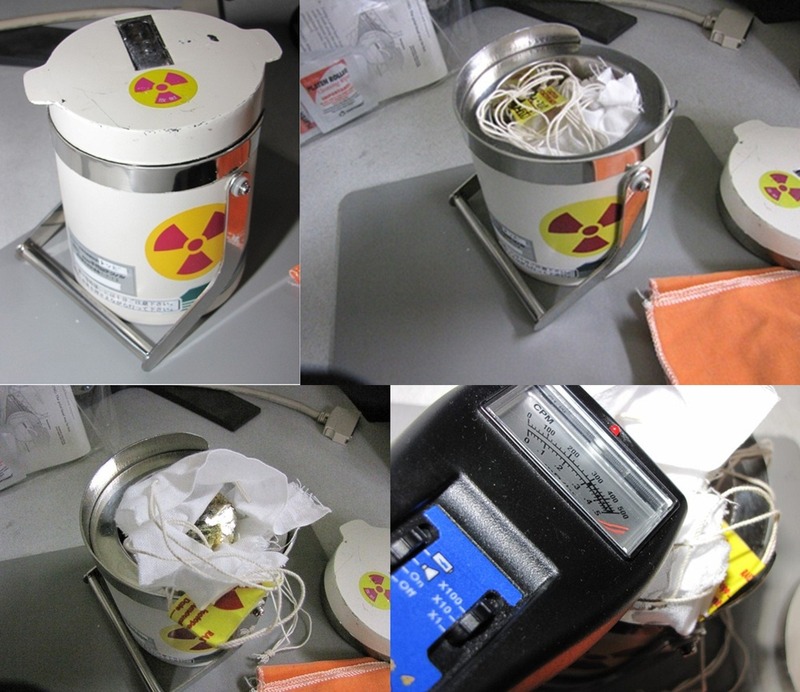 A whistle-blower of Tepco leaked the actual situation of Fukushima plant. He left his comments on a Japanese forum. Here are the messages. 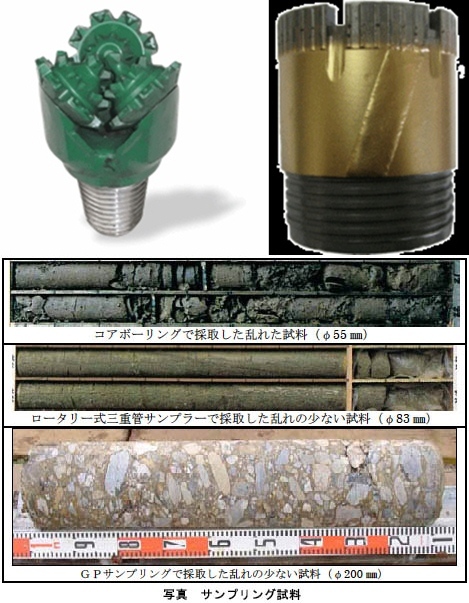 When they do boring where they don’t need to take a sample they drill roughly with this green rotary diamond bit but the dust is lethal because it’s too radioactive. When they need to take a sample, they change the diamond bit to hole saw type of bit. However, diamond is weak for the heat so when it’s hotter than 500℃ they use the standard type of the tungsten carbide instead. The bottom 3 pictures are the samples taken. Taking a part of the concrete slag sample. Put it into the lead case (Chiyoda technol) and take it to a lab. I don’t know if it’s because they gave sea water to cool down or because it’s brackish area, if natrium (sodium salt) of sea water made a chemical reaction with calcium carbonate in the concrete to become diuranate natrium (sodium diuranate) or not, it looks yellow as yellow cake. 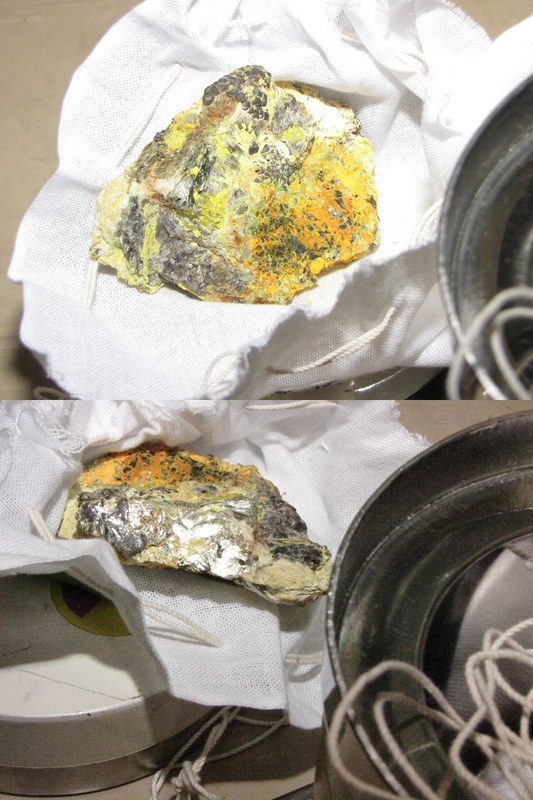 Probably the iron part of the core is uranium pellet unreacted – not sure yet because it’s still before the analysis. It’s beyond the max reading of 500X100 CPM. These yellow concrete slags come out from under the building one after one. It means that the container vessel is melting like honeycomb at least – doesn’t it? Otherwise why would metal uranium comes out of there ? made up my mind to take out the slags from the shelter to take pictures of them. wore protective clothing. When it’s taken out, it was over 400 ℃ but now it’s cooled down to 100 ℃. Can you see this big metal crystal (extremely radioactive) and the oxidized concrete looking like yellow cake? Can you believe it is out of the container vessel. It’s over 500 mSv/h, my geiger counter went over the limit. was scared so put it back to the shelter soon as I took a couple of the pictures. Is A German Super-Volcano About To Erupt?